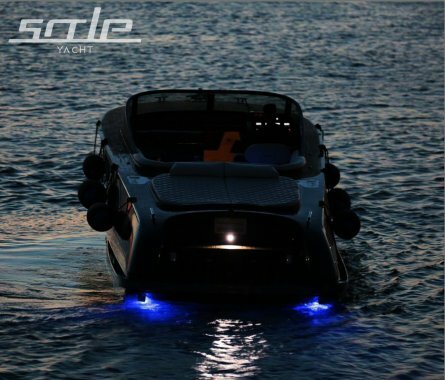 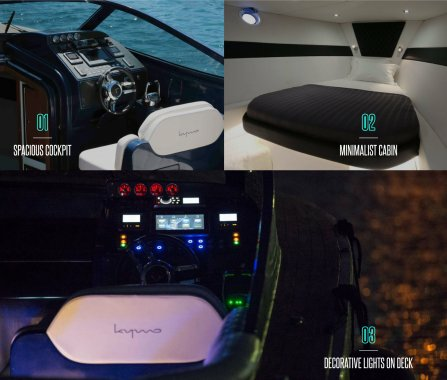 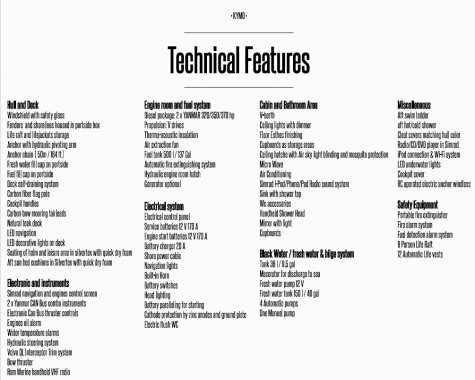 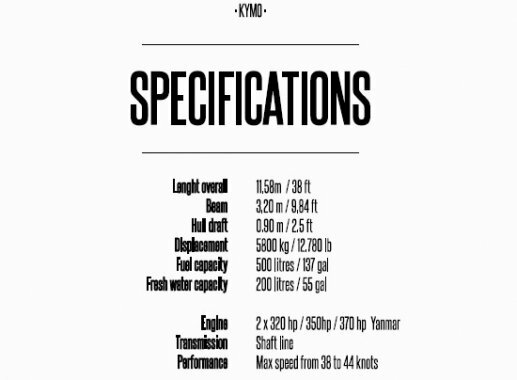 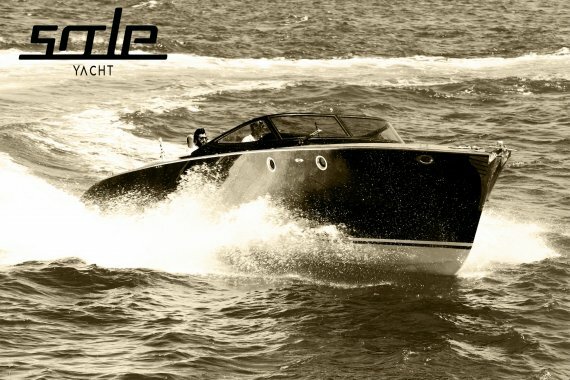 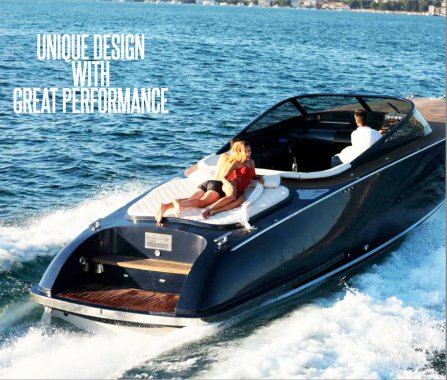 Kymo unifies luxury, high performance and elegant design for those who would like to feel the power of engines or cruising with style. 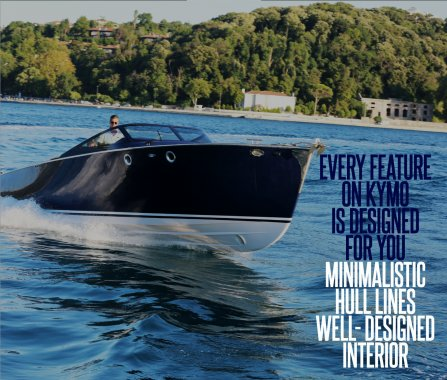 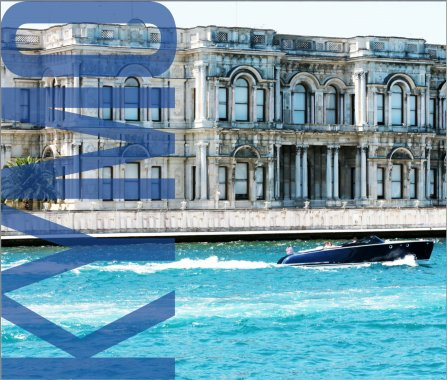 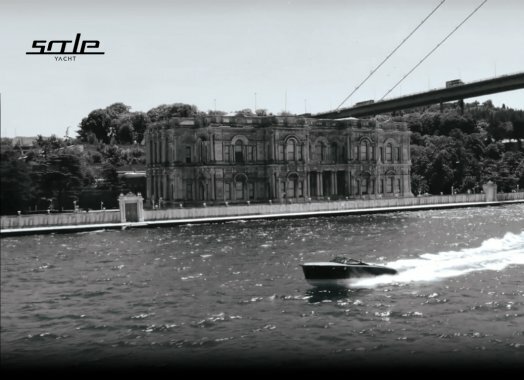 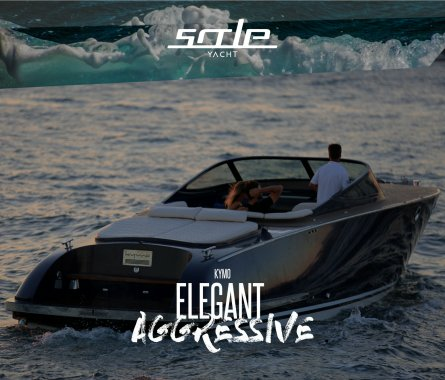 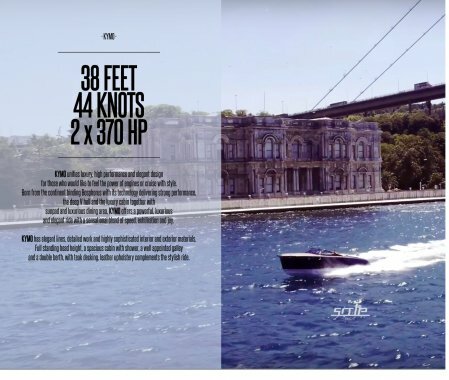 Born from the contines binding Bosphorus with its technology delivering strong performance, the deep V-hull and the luxury cabin together with the sunpad and luxurious dinging area, KYMO offers a powerful and elegant ride with a sensational blend of speed, exhilitarion and joy. 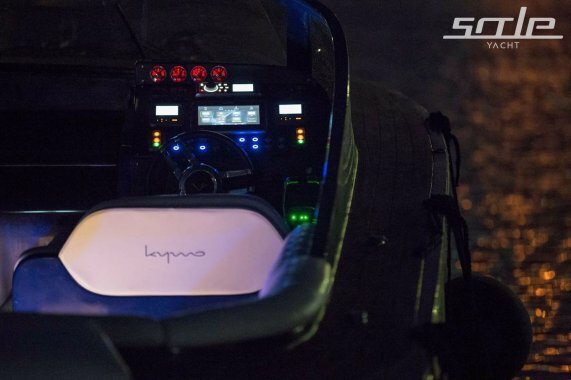 KYMO had elegant lines, detailed work and highly sophisticatated interior and exterior materials. 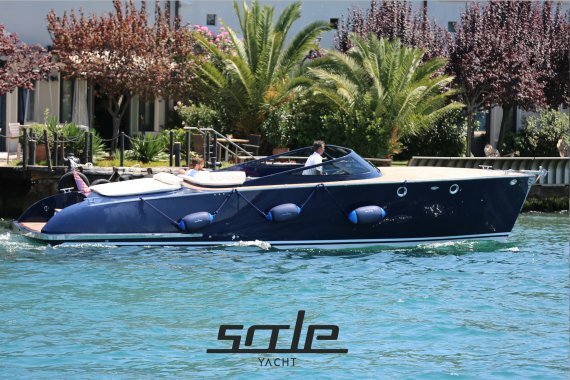 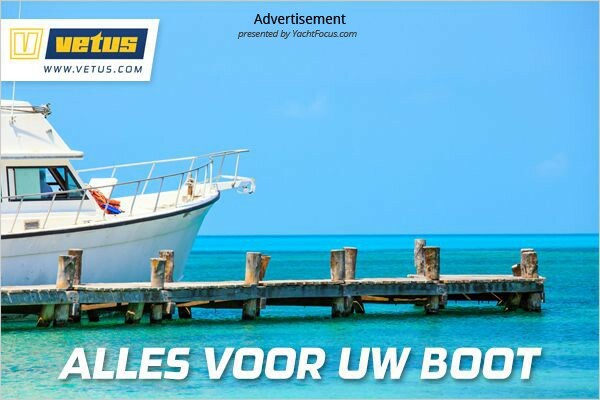 Full standing headroom, a spacious cabin with shower, a well appointent gally and double berth, with teak decking, leather upholstery complements the stylish ride.